Intermediate to pro alto, gold lacquer. They are beautiful, they sound fantasic, and they play like a dream. Jupiter has evolved as a manufacturer and the instruments they are turning out right now are better than ever. The 1100 Series saxophones are a perfect example of the classic hand-crafted design practices that reside alongside state-of-the-art manufacturing processes, defining the refined elegance and superb value of these gorgeous instruments. The elegant lines complement the precision-cut toneholes and the quality materials used in producing these spectacular horns. The JAS1100 is the perfect step-up alto saxophone for the committed student and is absolutely presentable in professional environments. A beauty to play and to behold, the JAS1100 Alto Saxophone just might be your horn. 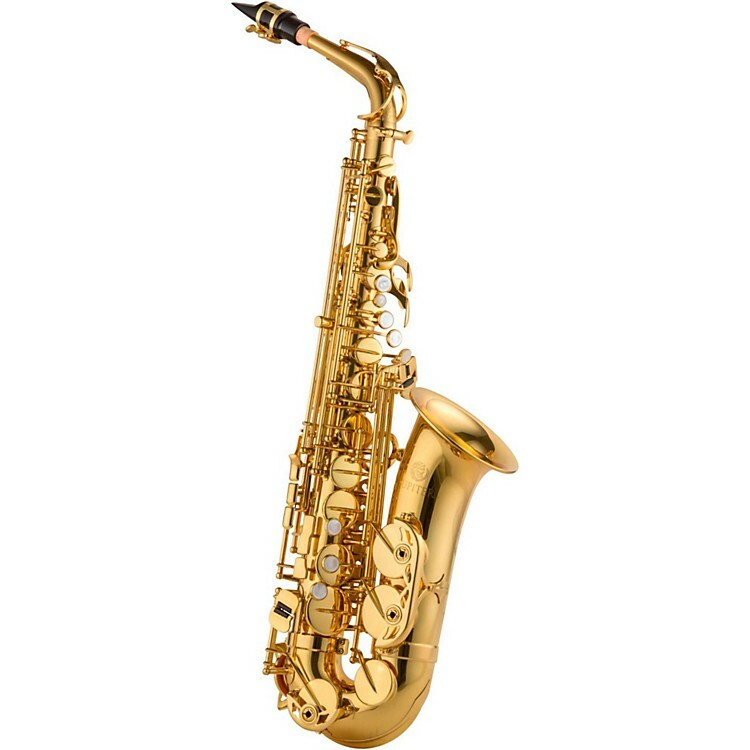 Replaces the Jupiter 969 Series Alto Saxophone. A beautiful horn with a sound and playability that will thrill you. Order today.